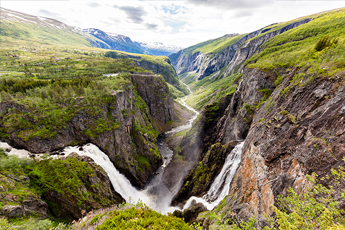 02/04/2019 (Montel) Nordic power spot prices looked set to fall 8% this month – to their lowest since May last year – as the Easter holiday and warming temperatures will curb demand amid some increased hydropower inflows from snowmelt, said analysts. 01/04/2019 (Montel) European coal prices face further losses this month, as declining demand, more favourable gas-fired generation margins and strong supply keep pressure on the market. 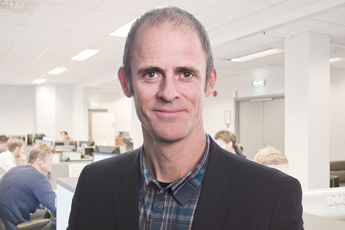 19/03/2019 (Montel) De kraftiga prisfallen i elcertifikatmarknaden har fortsatt under tisdagen och aktörer börjar nu förbereda sig för en priskollaps. 15/03/2019 (Montel) Nordic power contracts traded higher on Friday amid drier weather forecasts and a slightly stronger carbon price. 14/02/2019 (Montel) Curve contracts continued their rapid decline of the last few days on Wednesday hitting three-month lows amid mild, wet weather forecasts and softer carbon. 13/02/2019 (Montel) European front-quarter coal prices have weakened to around their widest discount to the equivalent Pacific-basin Newcastle contract in years, in part driven by slack Atlantic-basin demand. 12/02/2019 (Montel) Futures contracts followed their sharp falls in the prior session with more losses on Tuesday as weather forecasts indicated the winter was “definitely over”. 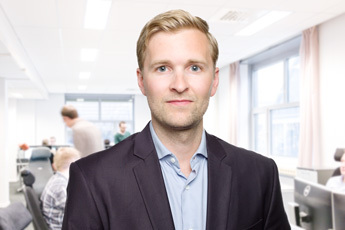 11/02/2019 (Montel) StormGeo has hired Vegard Svarstad and Simen Valåmo as Nordic and German power analysts in a move aimed at strengthening Nena Analysis team, it told Montel. 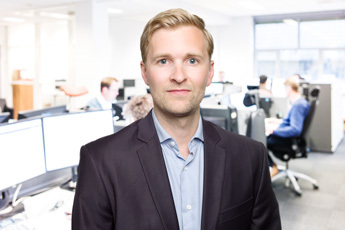 18/01/2019 (Montel) Long-dated German power prices are trading at a huge near EUR 20 premium to their Nordic counterparts due to massive wind power growth expected in the latter region by 2024, said StormGeo analyst Sigbjørn Seland. 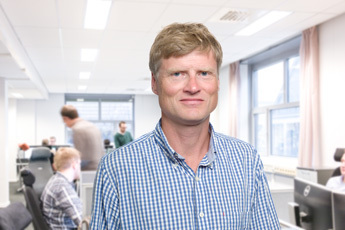 11/01/2019 StormGeo senior meteorologist Frode Korneliussen has developed a new method that has hit a bullseye in previous years’ forecasts. 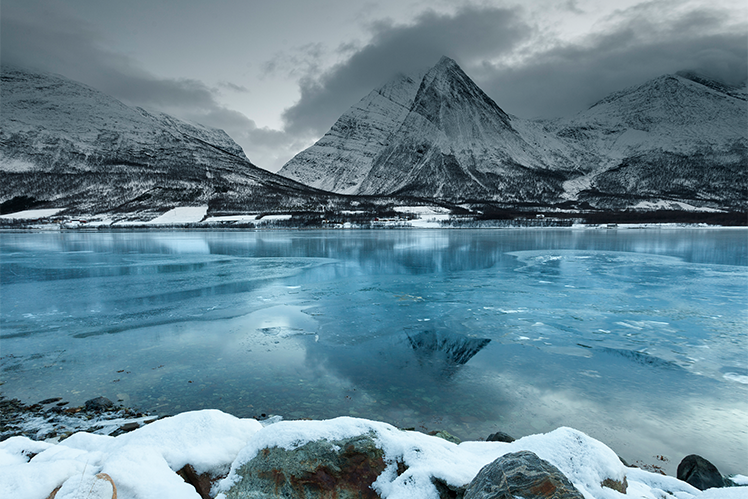 Check out the 2019 Winter Seasonal Forecast for Europe. 08/01/2019 (Montel) European coal front-quarter prices may extend current nine-month lows this week, with limited generation demand and ample supply weighing heavily on the market, participants said on Monday. 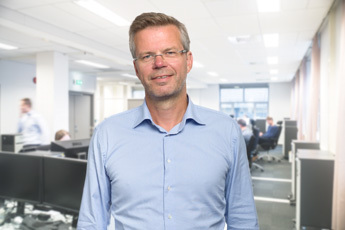 19/12/2018 (Montel) Nordic Elcert prices plunged 15% on Tuesday after a Swedish proposal to support new plants until 2030 stoked fresh concerns about an oversupply of certificates. 03/12/2018 (Montel) European front-year coal prices may jump 3-4% this month from current levels amid bullish technical signals and the prospect of German stockpile replenishment as river levels rise but weak Asian demand could limit gains. 26/11/2018 (Montel) Tuesday’s system price is set to surge on higher demand due to cold weather, low wind power output and high continental prices. 15/11/2018 (Montel) The global dry freight index has fallen to a six-month low, prompting coal sellers and buyers to seek less common, longer-haul trade routes. 01/11/2018 (Montel) European coal prices may rise in November amid a dearth of higher quality material and the prospect of a seasonal upturn in demand but a prevailing preference for cheap, lower-grade coal could cap gains. 31/10/2018 (Montel) A crackdown on pollution in Asia has resulted in an overhang of cheap, lower-quality coal, which is finding a home in Europe, where “more flexible” generators can take advantage of the glut, analysts said on Tuesday. 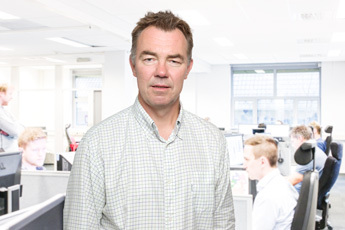 29/10/2018 (Montel) The price of Nordic Elcerts could plunge from close to SEK 200 (EUR 19) to SEK 50 (EUR 5) within the next six months due to several new projects in the pipeline, StormGeo analyst Sigbjørn Seland said on Thursday. 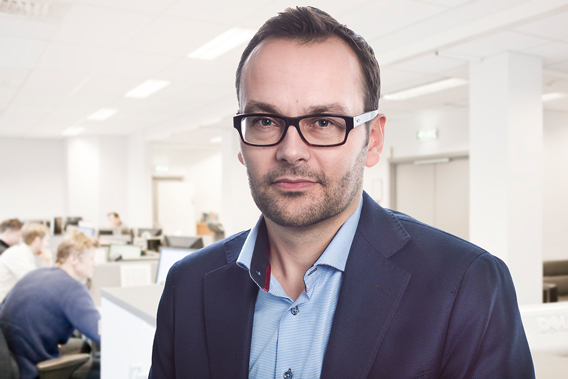 17/10/2018 (Montel) Uavhengig av hva Sverige bestemmer seg for om en mulig stoppregel i elsertifikatmarkedet, vil norske anlegg som kommer i drift før utgangen av 2021 få elsertifikater, fastslår OED overfor Montel. 09/10/2018 (Montel) Combined coal inventories at northwest European dry bulk terminals have risen to 17-month highs, as low river levels continued to hinder barge shipments to inland destinations. 08/10/2018 (Montel) European coal prices may weaken in the coming days amid softer generation demand, but a preference for pre-winter restocking requirements will limit losses, participants said on Monday. 03/10/2018 (Montel) Nordic power prices could fall by up to EUR 5/MWh if Norwegian aluminium producer Norsk Hydro closes down all its output in Norway, analysts StormGeo said on Wednesday. 03/10/2018 (Montel) Skulle det bli full stans i Hydros norske aluminiumsverk på grunn av råvaremangel, vil det kunne senke nordiske kraftpriser med 4-5 EUR/MWh, ifølge senioranalytiker Sigbjørn Seland i StormGeo. 01/10/2018 (Montel) Pacific basin coal prices have softened over the past week with Chinese buyers poised to exit the market for a week-long holiday, although Indian demand for lower-grade material remained, participants said on Thursday. 24/09/2018 As our business expands, we are adding to our analysis team within power/energy markets — a growing segment of the company. The analyses currently include Nordic and European Power, el certificates, emission, freight and fuel markets. 12/09/2018 (Montel) Capesize vessel rates have plunged more than 30% over the past month to a nine-week low, as Chinese steel-production curbs reduced iron ore import requirements, participants said on Monday. 11/09/2018 (Bloomberg) Coal prices in Europe are on track to surpass $100 a ton, the highest since 2013 as China’s demand for electricity draws in more cargoes of the dirtiest fossil fuel. 31/08/2018 (Montel) En bättre intäktskalkyl för biokraft kan leda till mer produktion i vinter, som i sin tur och kan dämpa priserna på elcertifikat som rusar. Men oavsett prisnivå väntas värmeunderlaget i huvudsak avgöra utbudet, säger marknadsaktörer till Montel. 23/08/2018 (Montel) European coal prices will weaken over the next two years amid ample supply but must recover to the USD 80-100/t range in the ensuing period to further stimulate supply growth, an analyst said on Thursday. 21/08/2018 (Montel) European prompt coal prices may extend one-month highs this week amid lingering restocking and generation demand in both Europe and the Pacific basin, participants said on Monday. 13/07/2018 (Montel) Europe’s front-quarter coal contract breached USD 100/t on Wednesday to hit a fresh six-year high, despite a sell-off among other commodities on fears of an escalating trade war between the world’s two largest economies. 06/07/2018 (Montel) European carbon prices hit a three-week high on Thursday as traders brought forward some purchases to account for lower auction supply next month, while French nuclear outages prompted more bullishness due to increasing thermal generation. 03/07/2018 (Montel) Nordic spot power prices are set to average a 12-year high in July after weeks of dry and warm weather have drained hydropower resources. 29/06/2018 (Montel) The front month hit a contract high on Friday with futures rising for a fourth consecutive day as the dry, hot weather outlook persisted. 29/06/2018 (StormGeo) We spoke with our Chief Analyst for Nordic Power, Sigbjørn Seland, for his insight into the future of the Nordic power market, including how growing investments into renewables are having an industry-changing effect. 28/06/2018 (Montel) Asia-Pacific coal price gains have stalled amid signs of flagging Chinese and Indian demand, participants said on Thursday. 27/06/2018 (Montel) European coal prices are likely to rise further this week on the back of a still strong Asia-Pacific market and supportive technical signals, participants said on Monday. 13/06/2018 (Montel) Coal prices surged to fresh highs on Tuesday as a potential strike in South Africa threatened to disrupt Atlantic supply and a heatwave in Asia boosted local demand. 01/06/2018 (Montel) Futures extended contract highs on Thursday as the weather was set to remain hot and dry for the foreseeable future. 01/06/2018 (Montel) Developments in the Asia-Pacific region will continue to provide direction for the Atlantic coal market this month, with expectations of persisting demand and some supply tightness likely to underpin prices, participants said on Friday. 19/04/2018 (Montel) Det är 25 procents sannolikhet för att det ska uppstå en knapphet av elcertifikat under Q1 2020, innan nya projekt ger en våldsam ökning av överskottet under resterande del av 2020-talet, sa Sigbjørn Seland, analytiker på StormGeo under sitt föredrag på Nordiske Prisdrivere i Oslo på torsdagen. 17/04/2018 (Montel) European coal prices jumped across the curve on Monday and extended last Friday’s two-month highs amid supportive technical signals, restocking demand, potential supply disruptions and geopolitical risks in the Middle East lifting sentiment. 11/04/2018 (Montel) Trots vårens uppgång handlas det nordiska 2020-kontraktet, klart lägre än vad elpriset förväntas levereras till under året, uppger flera marknadsaktörer till Montel. 05/04/2018 (Montel) European coal prices face “mixed drivers” this month, with ample regional supply and the bearish influence of lower Chinese imports potentially offset by near-term weather-related disruptions in Australia and supportive technical indicators. 14/03/2018 (Montel) European coal prices rose on Tuesday on expectations of increased coal burn during a cold snap next week, with restocking activity adding further bullish influence. 07/03/2018 (Montel) The Baltic Dry Index (BDI) has risen by 12% over the past month to around a five-week high as Asian coal demand, port congestion and strong grain exports underpin panamax vessel rates, participants said on Tuesday. 28/02/2018 (Montel) Atlantic basin coal prices will likely take the lead from China and the wider Asia-Pacific market in March, with a relative abundance of supply expected to pressure prices, participants said on Wednesday. 09/02/2018 (Montel) European coal fell on Thursday to as much as six-month lows on easing supply concerns as fears of a Colombian miners’ strike waned, mild weather and the knock-on effect of lower Asia-Pacific prices ahead of Chinese New Year. 01/02/2018 (Montel) European coal prices may weaken further in February amid waning Atlantic demand and stiff competition from renewables and gas, but the wildcards of a possible coal-sector strike in Colombia and a supportive Asia-Pacific market remain, participants said on Thursday. 31/01/2018 (Montel) The API 2 front-quarter contract has slumped 4.5% so far this week to its lowest level for more than two months, as participants take profit from recent highs and Pacific basin supply concerns diminish. 20/12/2017 (Montel) European coal prices are likely to gain further ground in the near-term, amid strong Asia-Pacific demand and supportive technical signals, yet the prospect of increased Chinese production could limit gains, participants said on Monday. 08/12/2017 (Montel) Til tross for at andelen kullkraftproduksjon gradvis reduseres i Europa, vil kull fortsatt være en viktig prisdriver i kraftmarkedet på grunn av tett konkurranse med bruken av gass, ifølge StormGeo-analytiker Hans Gunnar Nåvik. 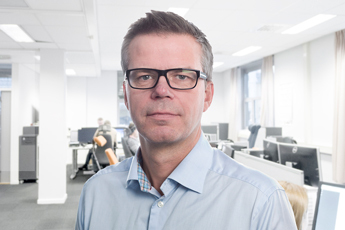 28/11/2017 (Montel) Stadig nye investeringsbeslutninger i fornybar energi vil gi et rekordstort overskudd på 30 millioner sertifikater i 2023 og senke spotprisen til under 50 SEK/MWh i god tid før da, ifølge Nena. 28/11/2017 (Montel) European coal prices may gather some further strength this week, as an anticipated rise in seasonal demand, in both the Atlantic and Pacific basins, offsets so far lethargic physical trading activity, participants said on Monday. 24/11/2017 (Montel) European and Asia-Pacific coal prices for 2018 rose on Friday amid expectations of a step-up in demand from key consumer China. 09/11/2017 (Montel) Asia-Pacific benchmark Newcastle coal prices have softened over the past week, amid signs of more sluggish demand, although threats to production in several key producing counties limited losses, participants said on Thursday. 08/11/2017 (Montel) The Nordic system price will average below EUR 30/MWh for the next three years amid a large surplus of power, Oslo-based analysts Nena said in a fresh forecast on Wednesday. 08/11/2017 (Montel) European coal contracts fell in late Tuesday trading amid weak regional demand, with traders shrugging off concerns that South Africa’s mining sector could experience widespread strike action from Wednesday. 23/10/2017 (Montel) European front year coal prices should continue to retreat from recent four-year highs as forecasts of wind and mild weather in Europe depress coal burn, participants said on Monday. 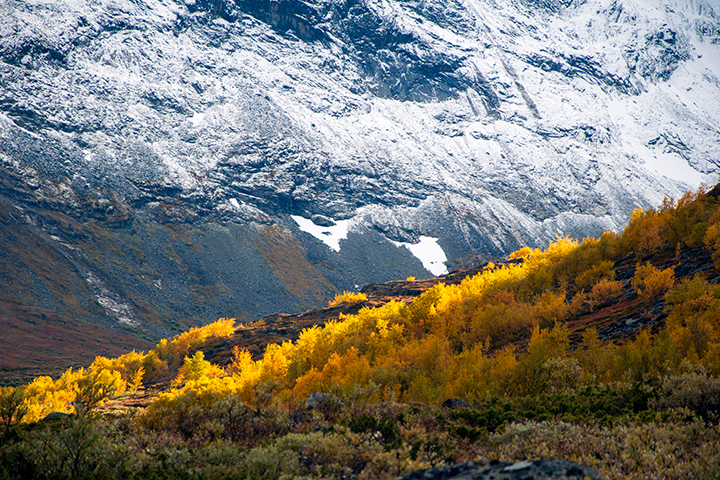 19/10/2017 Nordic Power Outlook fall 2017 is available now. 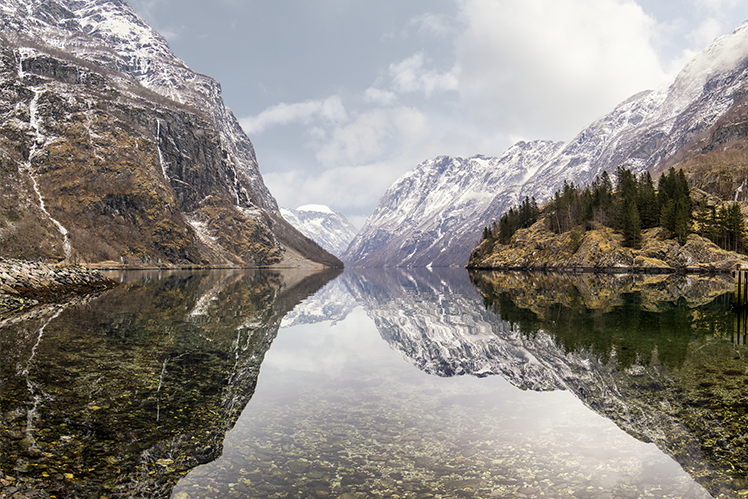 Get the latest update on our view for the Nordic countries until 2045. 13/10/2017 (Montel) European paper coal prices rose more than 5% over the past week to three-week highs, despite a sluggish physical market, amid lingering concerns about Australian supply disruptions, participants said on Friday. 06/10/2017 (Montel) European coal prices rose this week due to aggressive utility bidding activity amid French power market jitters and supportive signals from the Pacific basin. 05/10/2017 (Montel) The Asia-Pacific benchmark Newcastle index has risen to its highest level in more than a fortnight amid ongoing threats to near-term supply and despite relatively weak demand from China, participants said on Thursday. 03/10/2017 (Montel) European coal prices are set to retreat this month as an abundance of supply is met with waning Chinese import demand and flagging trading activity in the Atlantic basin, participants said on Monday. 02/10/2017 (Montel) Nordic spot power prices are set to fall 13% month on month in October as wetter than normal weather forecasts dominate what is on average the wettest month of the year in hydropower-rich Norway. 29/09/2017 (Montel) Nordic power futures slipped in Friday trading as forecasts pointed to above-normal precipitation and amid weakness in fuel prices. 19/09/2017 (Montel) Chinese coal production dropped to a 10-month low of 9.4m tonnes/day in August, amid government inspections to improve safety and efficiency at mines and adverse weather conditions, National Bureau of Statistics data showed on Monday. 18/09/2017 (Montel) European coal prices are likely to derive support from an ongoing miners’ strike in South African and bullish Asia-Pacific prices, yet regional demand remains largely muted, participants said on Monday. 05/09/2017 (Montel) Nordic power front forwards dipped early on Tuesday amid a wet weather outlook, while the long end of the curve rose on the back of a buoyant fuel complex. 01/09/2017 (Montel) European coal prices may slip this month, after reaching multi-year highs in August, on high stocks and muted demand, yet support is likely to persist from the Pacific basin and technical indicators, participants said on Friday. 31/08/2017 (Montel) A European Commission approval this week of US-based General Electric and Australian investment bank Macquarie’s acquisition of a planned 650 MW wind farm project in northern Sweden will further dampen Elcert prices, analysts told Montel on Thursday. 24/08/2017 (Montel) Ytterligere investeringsbeslutninger i nye vindkraftprosjekter kan føre til at sertifikatoverskuddet øker til hele 30 millioner sertifikater rundt 2025, noe som kan presse prisene i kjelleren, sier Nena-analytiker Joachim Jernæs. 04/08/2017 (Montel) A rally in European coal prices that has taken the front-year contract to nine-month highs shows signs of petering out amid an expected decline in European coal burn. 05/07/2017 (Montel) Asia-Pacific coal prices – particularly in China – remained supported this week as a shortfall in Chinese hydropower generation and Indian restocking spurred coal demand, participants said on Wednesday. 04/07/2017 (Montel) European coal prices may gain some further ground this week amid a buoyant euro versus the dollar and uncertainty regarding South African supply, participants said on Monday. 03/07/2017 (Montel) European coal prices will take direction from weather-related developments over the coming month and could retest eight-month highs hit last week, although the current supply demand outlook appears relatively balanced, participants said on Monday. 03/07/2017 (Montel) De lange kontraktene i elsertifikatmarkedet faller markant fredag ettermiddag etter at Vasa Vind og APG tidligere på dagen annonserte byggingen av Åskälen vindpark (288 MW). Fronten stiger derimot litt. 28/06/2017 (Montel) Healthy hydropower and wind output should offset a 4 GW drop in German nuclear availability in July, although days with little wind and hot weather provided upside risk, market observers said on Tuesday. 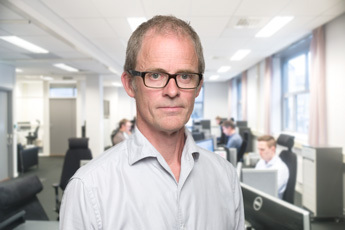 02/06/2017 (Montel) Det bør ikke foretas nye investeringer i elsertifikatmarkedet før i 2024, sier Nena-analytiker Sigbjørn Seland, som ser en fortsatt risiko for lave elsertpriser, selv om overskuddet vil krympe til 4,5 millioner sertifikater i 2020. 02/06/2017 (Montel) Front-year European coal prices may continue to rise, above USD 70/t, in June as a possible tightening of supply and technical signals trigger some gains but the market is currently well supplied, market participants told Montel. 30/05/2017 (Montel) European coal prices climbed back above their average range of the past 200 days on Monday amid lacklustre trading activity in fuel markets due to a public holiday in the UK. 23/05/2017 (Montel) Germany’s benchmark power contract pulled back from its highest level in a month on Tuesday, though it remained above a psychologically important support marker of EUR 30/MWh. 16/05/2017 (Montel) A rapid increase in inflow due to rising temperatures and forecast rain could put massive pressure on the system price, market participants said, with contracts dropping in value across the board on Tuesday. 11/05/2017 (Bloomberg) Nordic power prices soared as cold weather delayed the seasonal melting of snow into water needed to generate electricity. 05/05/2017 (Montel) European paper coal prices continued to take direction from a bearish Asia-Pacific market, despite low hydropower levels offering support to physical prices, participants said on Thursday. 02/05/2017 (Montel) European coal prices will continue to take the cue from the Asia-Pacific market over the coming month, although strong supply and waning demand in the Atlantic Basin will likely offset further price gains, participants said on Tuesday. 27/04/2017 (Montel) Current market signals suggest that coal-fired power plants in Germany should run at "full speed" in the fourth quarter, said analyst Diana Bacila at Nena on Wednesday. 25/04/2017 (Montel) Nordic power prices are unlikely to exceed EUR 30/MWh over the next decade as growing domestic power production would more than compensate for increased demand, Sigbjørn Seland, chief analyst at Nena, told Montel on Tuesday. 21/04/2017 (Montel) Front-year European paper coal prices rose to a two-week high on Thursday as cold weather looked set to lift demand from the power sector and amid a rise in Asian contracts. 19/04/2017 (Montel) Den nye elsertavtalen mellom Sverige og Norge kan føre til at det blir en stram balanse i elsertifikatmarkedet rundt 2020, noe som igjen kan gi høye elsertpriser, sier Nena-analytiker Joachim Jernæs. 06/04/2017 (Nena) Elcert prices have plunged to all-time lows. Is this temporary, or will prices stay low for a long time? Get an offer for the report. 06/04/2017 (Montel) Front week contracts rose amid colder weather forecasts on Thursday, with one analyst saying they could jump as much as EUR 5 as hydropower reservoirs were running low ahead of the pending spring thaw. 04/04/2017 (Montel) German TSO Tennet has significantly increased power imports from Denmark in recent weeks, sending a bullish signal to the Nordic power market, said analysts on Monday. 04/04/2017 (Montel) European coal prices are set to extend recent bullishness this week as persisting weather-related disruptions to Australian output offset muted demand in Europe, participants said on Monday. 30/03/2017 (Montel) The front-week contract jumped EUR 2 on Thursday as weather forecasts suggested lower wind in the near term and on a delayed restart to the Philippsburg reactor. 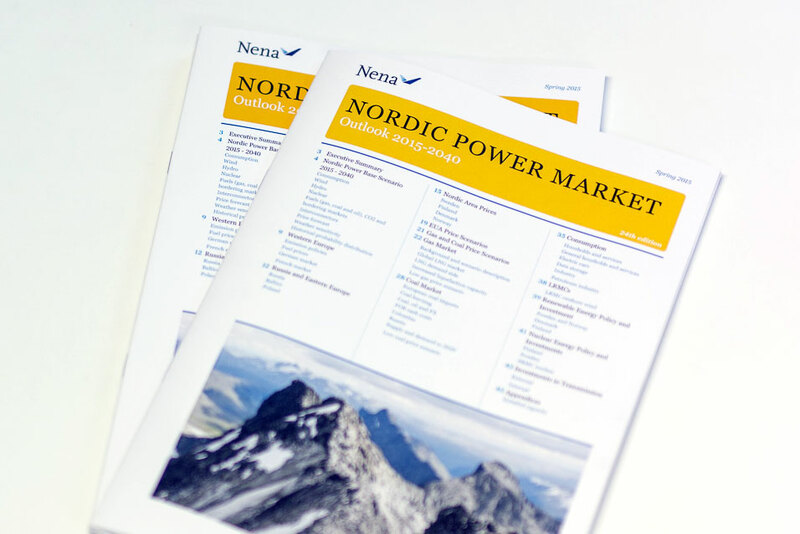 28/03/2017 The Nordic Power Outlook 2017-2045, Spring 2017 edition is now available. 24/03/2017 (Montel) Germany’s benchmark power Cal 18 contract extended the previous day’s gains on Friday amid a buoyant coal market. 14/03/2017 (Montel) Nordic power futures edged up early on Tuesday, taking a cue from a slightly drier weather outlook coupled with stronger coal and German power prices. 09/03/2017 (Montel) Front-year coal prices for delivery to north-western Europe collapsed on Wednesday to their lowest level in nearly six weeks after media reports Chinese officials could back away from a return to production curbs. 02/03/2017 (Montel) Near-term paper and physical coal prices slid 5% over the past week as lower European coal-fired generation levels, abundant supply and low liquidity pressured the market, participants said on Thursday. 10/02/2017 (Montel) Nordic Elcert prices for 2019 crashed to a new record low of SEK 52/MWh (EUR 5.48/MWh) on Friday, further eroding profits for producers in a market oversupplied with new renewables. 09/02/2017 (Bloomberg) Renewables surge is crashing renewable-certificates market. 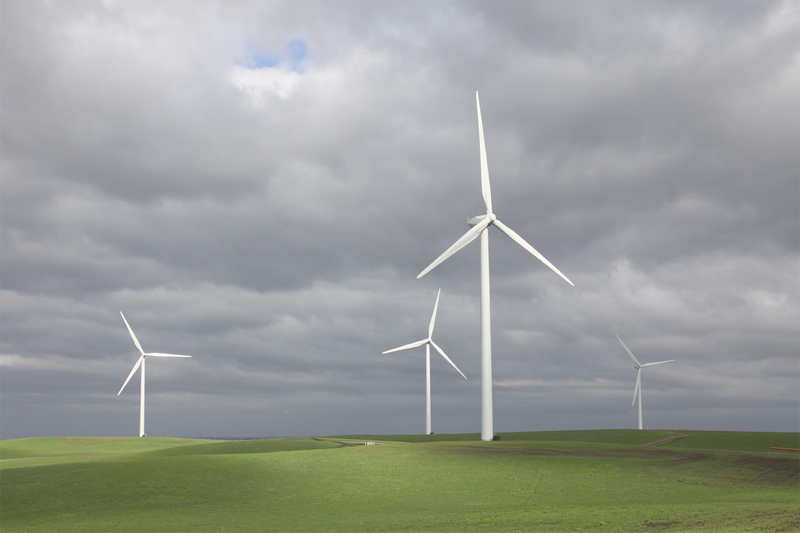 Wind development means 2020 renewables target met before plan. 09/02/2017 (Montel) Nordic power futures dropped early on Wednesday amid slumping coal prices and some weather forecasts indicating wetter and milder conditions approaching the region than previously expected. 01/02/2017 (Montel) European coal prices could continue to gather support over the coming month, as post-winter restocking activity kicks in, market participants said on Tuesday. 30/01/2017 (E24) Nordens produksjon av sol- og vindkraft vil mer enn dobles innen 2040, tror analyseselskapet Nena. Én årsak er utenlandsk kapital på jakt etter avkastning. 27/01/2017 (Montel) European coal prices have fallen from the 11-week highs hit earlier this week as milder weather combined with waning physical spot demand in the Atlantic basin, players said on Thursday. 20/01/2017 (Montel) Elsertprisene kan falle til 40-70 SEK/MWh hvis det blir bygget 2 TWh mer elsertifikatberettiget kraftproduksjon enn målet på 28,4 TWh, ifølge Nena-analytiker Joachim Jernæs. 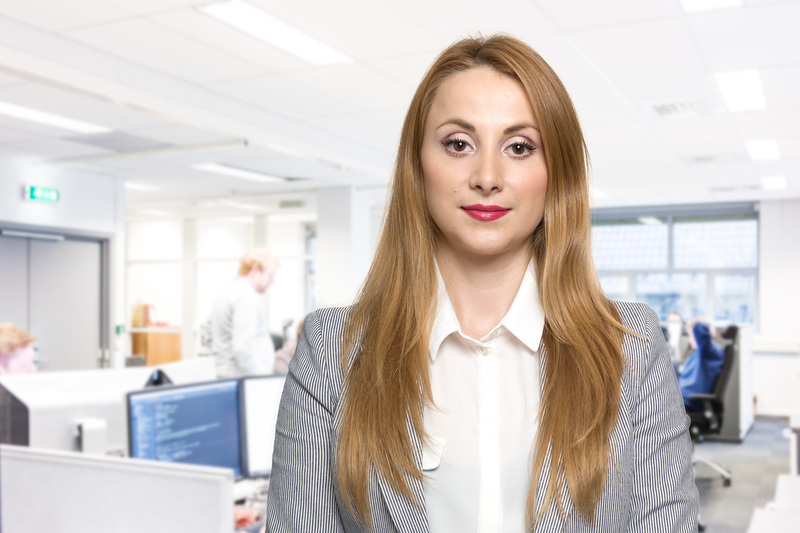 20/01/2017 (Montel) Nordic power spot prices will likely average below EUR 30/MWh for the remainder of the decade, with a risk of lower prices keeping producers' earnings under pressure, the head of analysis firm Nena Storm Geo said on Thursday. 13/01/2017 (Montel) European coal prices jumped to fresh two-month highs on Thursday as a cold snap that has hit central and eastern Europe looked set to spread across north-west parts of the continent, lifting demand. 12/01/2017 (Montel) Prisene i det nordiske kraftmarkedet steg torsdag som følge av kalde og tørre værvarsler, fortsatt stigende brenselspriser og en sterkere enn ventet systempris. 03/01/2017 (Montel) Nordic spot price expectations for this month have dived by EUR 6-7 over the last few days due to a sudden change to milder weather forecasts. 30/12/2016 (Bloomberg) Coal’s recovery was one of the biggest surprises in commodities this year, but it’s all poised to end as output rises from China, producer of half the world’s supply. 02/12/2016 (Montel) European coal prices have flat-lined as a weaker physical market and profit taking offset likely strong demand in both Europe and Asia, with mixed drivers continuing to confuse the outlook, players said on Thursday. 22/11/2016 (Montel) Kraftprisene falt markant over hele linjen mandag, drevet av våte tidagersvarsler og sterkt fallende kraftpriser på kontinentet. 21/11/2016 (Montel) Det felles målet om å bygge ut 28,4 TWh i elsertmarkedet er i full fart med å bli nådd, men prisene kollapser ikke fordi markedet priser inn at Norge og Sverige blir enige om 18 TWh-forlengelsen, sier analytikere. 18/11/2016 (Montel) European paper coal prices slumped to five-week lows on Thursday amid persisting signs of easing tightness in the Asia-Pacific region, although analysts were split as to whether the plunge would continue. 18/11/2016 (E24) StormGeo lyktes med å omstille seg da oljeprisen gjorde offshoremarkedet mindre. Nå skal kunstig intelligens sørge for at selskapet fortsetter oppturen. 14/11/2016 (Montel) European paper coal prices were set to come under further pressure this week amid increased supply in the Atlantic, weaker generation demand and falling Asian prices, market participants said on Monday. 31/10/2016 (Montel) Tight global supply, coupled with ongoing pre-winter restocking activity, is likely to support prices this week, although there is some risk of a correction, market participants said on Monday. 27/10/2016 (Montel) Forwards continued to rise on Wednesday amid dry and cold forecasts, which compounded concerns over the hydrological deficit, with one analyst predicting the front quarter could surge to “EUR 50/MWh in the next two weeks”. 19/10/2016 (Nena) Nena's long term analysis on Nordic power with focus on renewable investments, export limitations from Nordic to Germany, increasing consumption, phase out of thermal capacity and updated view on coal and gas. Will be presented in Oslo November 2. 18/10/2016 (Montel) Nena-analytiker Joachim Jernæs tror ikke dagens forslag fra Energimyndigheten i Sverige vil gi store prisutslag i elsertmarkedet. 18/10/2016 (Montel) European coal prices started the week in bullish mood on Monday, with further gains anticipated over the coming days, amid low river levels in Germany and rising demand in China. 14/10/2016 (Montel) European coal prices declined from recent near two-year high this week, although tightness in the Atlantic Basin and strong Asian demand should help to pare recent losses, participants said on Thursday. 03/10/2016 (Montel) Nordic spot prices are set for a 13% month-on-month rise in October, buoyed by dry, cold weather, as well as surging coal and carbon prices. 30/09/2016 (Bloomberg) German coal-fired power plant closures are poised to accelerate as dwindling margins prompt utilities to retire the stations early. 30/09/2016 (Montel) Etter en svært frisk prisoppgang torsdag morgen, falt de lange kraftkontraktene tilbake på ettermiddagen som følge av gevinstsikring. 16/09/2016 (Montel) A slight pick-up in European demand and surging coking prices helped lift thermal coal prices this week, though a loosening of Chinese production cuts could start to pressure contracts, said market participants on Thursday. 09/09/2016 (Bloomberg) For all the predictions about the death of coal, it’s now one of the hottest commodities in the world. The resurrection may have further to run. 08/09/2016 (Montel) The Baltic Dry Index (BDI) – which tracks global dry freight rates – rose 22% over the past month to a near 11-month high, amid surging Chinese iron ore demand, analysts said on Thursday. 07/09/2016 (Montel) Power producers in Norway may lose as much as EUR 78m due to a reduction in transmission capacity out of the country between June and October, analysts said on Wednesday. 05/09/2016 (Montel) Nordic forward power prices slid in early Monday trading as fresh weather forecasts showed wetter and milder conditions than previous outlooks. 26/08/2016 (Montel) Cooling temperatures in China and a receding risk of La Nina weather pattern this winter have sent front-year paper coal prices to around two-month lows this week, participants said on Thursday. 24/08/2016 (ICIS) The fossil fuels complex could pull near-curve prices at the French electricity market in opposing directions over coming weeks, as the outlook for coal remains bearish while there is potential for upside on gas according to one analyst. 22/08/2016 (rbnett.no) Husholdningene og industrien i Norge opplever de laveste kraftprisene på 15 år. – Vi venter lave, stabile kraftpriser minst til 2020, sier salgsdirektør Arve Dahl Nielsen i analyseselskapet Nena. 19/08/2016 (Montel) A tightening Asian market continued to support European coal contracts this week, though analysts said on Thursday a gas price slump could wipe out a sizeable chunk of power sector demand, potentially stemming recent API 2 bullishness. 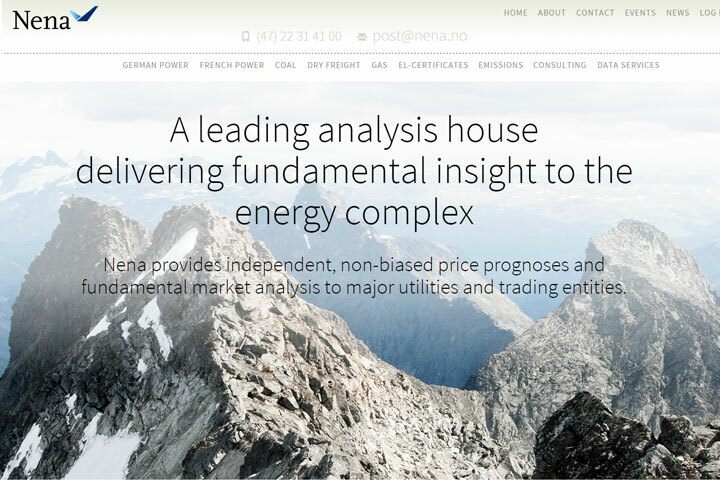 09/08/2016 Bergen, Norway – StormGeo, a global provider of decision support for weather sensitive operations for the Shipping, Offshore, Renewable Energy, Corporate Enterprise, Media and Aviation industries, has acquired all outstanding shares in Nena AS. 02/08/2016 (Montel) Front-year European coal prices may rise by as much as USD 4.50 in August, as bullish Asian demand signals permeate into the European market, although an overall abundance of supply could limit gains. 01/08/2016 (Montel) Higher consumption after the summer holiday season and bullish coal prices are set to lift average Nordic spot prices EUR 0.50-1 month on month in August, market participants told Montel. 28/07/2016 (Montel) European coal prices have risen to 17-month highs, fuelled by some healthier short-term European demand, yet the increase is limited by an overall abundance of supply, market participants said on Thursday. 19/07/2016 (Montel) The likelihood has lessened of a La Nina weather pattern hitting output from the world’s largest thermal coal exporter Indonesia this year although the threat remains, the Australian Government Bureau of Meteorology said on Tuesday. 15/07/2016 (Montel) Demand from Asia and a weaker US dollar are likely to further lift European coal prices above recent multi-month highs, market participants said on Thursday. 01/07/2016 (Montel) European coal prices are likely to remain flat or weaken marginally over the coming month amid seasonally weak demand and bearish signals from the Asia-Pacific region, although technical indicators are still bullish. 21/06/2016 (Montel) Nordic power forward prices extended earlier losses on Tuesday afternoon as wet weather forecasts were met with weakening fuel prices. 21/06/2016 (ICIS) Nuclear power outages could be the reason why Germany’s day-ahead export capacity to France has often being restricted even at times when wind power is low, traders and analysts have said. 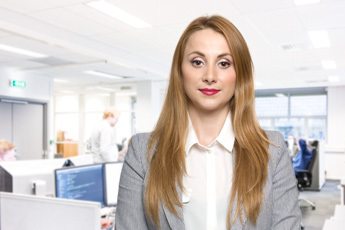 14/06/2016 (Montel) Hvis Sverige forlenger elsertifikatmarkedet og øker målet med 18 TWh til 2030, vil det ramme investorer som allerede har investert i elsertifikatmarkedet, ifølge analytiker Joachim Jernæs i Nena. 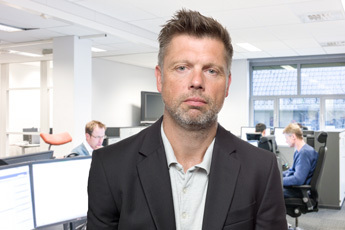 08/06/2016 (Montel) Tyske myndigheter bekrefter at viktige linjeprosjekter internt i landet vil bli forsinket til minst 2025, noe som vil føre til forlenging av eksportbegrensningene fra Norden og hyppig import av lave tyske priser. 06/06/2016 (Bloomberg) European coal prices surged to the highest in 10 months, buoyed by rising fuel prices and supply disruptions. 03/06/2016 (Bloomberg) A jolt in power prices because of the introduction next year of a carbon floor price in France has so far failed to materialize as traders suspect the measure may be delayed or won’t happen at all. 03/06/2016 (Montel) European paper coal prices will likely continue to remain around USD 50/t in June, although the impending monsoon season in India will almost certainly be bullish for prices, a market participant said. 27/05/2016 (Montel) European coal prices rose to eight-month highs on Thursday largely on the back of a bullish oil market, although an opening of the US export arbitrage to Europe threatens to curtail further gains, said players. 24/05/2016 (Montel) Videre fornybarutbygging, fortsatt importbegrensning til Tyskland, lav forbruksvekst og vanskeligheter med å stenge ned kjernekraft vil føre til at kraftprisene i Norden holder seg lave i minst ti år til. Risikoen for priskollaps øker også, ifølge Nena. 24/05/2016 (ICIS) A rise in German far curve electricity prices is fundamentally unjustified and annual contracts will probably shed value in the next few months, even though they are unlikely to reach the record lows seen mid-February, several market participants and observers have told ICIS. 09/05/2016 (Montel) The Nordic power system price for Tuesday surprisingly jumped EUR 2.61 to EUR 23.82/MWh amid tight nuclear and wind power supply, prompting an upward adjustment on the forward curve in afternoon trade. 03/05/2016 (Montel) European paper coal prices may rise by as much as 6% – or about USD 3 – from current levels in May, as bullish technical signals and strong oil prices underpin the market, participants said. 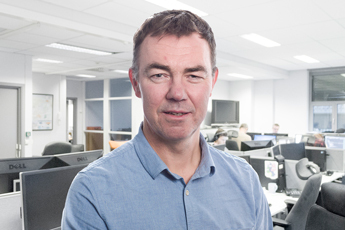 21/04/2016 (Montel) Den hydrologiske balansen i Norden har forverret seg med 18 TWh siden jul, ifølge analyseselskapet Nena, som har løftet sin prisprognose for tredje kvartal med 30 prosent i samme periode. 19/04/2016 (Bloomberg) The contract for delivery to northwest Europe next year gained for an eighth day on Tuesday, the longest such streak since June 2008, according to broker data compiled by Bloomberg. The fuel has climbed 25 percent since Feb. 17, when it reached the lowest since Bloomberg started compiling the data in September 2007. 18/04/2016 (Montel) European coal prices are likely to remain supported this week, with appreciating producer currencies deterring offers and a still open trans-Pacific arbitrage resulting in a slight decline in Atlantic supply, participants said on Monday. 14/04/2016 Nena presents merit order overview of investments from 2016 to 2020. Complete overview of all large projects under construction as well as expected onshore wind, large hydro, bio and wind power projects to take investment decision. 14/04/2016 The long term report offers scenario analysis with updated “Base case scenario”, “Nena scenario” (low gas to Europe), and an alternative scenario for “High fuel and CO2 prices”. 13/04/2016 (Montel) The Baltic Dry Index (BDI) rose 47% over the past four weeks to 529 points, the highest in four-months, as strong South American grain exports curbed vessel availability, according to industry sources on Monday. 11/04/2016 (ICIS) Germany’s renewable energy expansion will threaten the profitability of coal-fired power plants during the summer season within a few years time, figures show. 07/04/2016 (Bloomberg) At the heart of Japan’s 8.1 trillion yen ($72 billion) retail electricity market liberalization is a six-person office in a residential neighborhood south of Tokyo’s business center. 01/04/2016 (Montel) European coal prices are likely to trade relatively sideways over the short-term with downside constrained by weakness in the dollar and upside limited by waning European demand, participants said on Thursday. 29/03/2016 (Bloomberg) The switch comes as European consumption is set to shrink further amid policies to reduce carbon emissions while Asian demand shields South African prices, said Diana Bacila, an analyst in Oslo at Nena AS. “The situation is a confirmation of the new normal, in which Asia is becoming the demand hub instead of Europe,” she said. 18/03/2016 (Montel) European coal prices hit fresh year-to-date highs on Thursday as bullish oil prices and a strong rouble combined with a buoyant South Africa export market, despite the API 2 market being otherwise well-supplied. 17/03/2016 (Montel) German front-week power prices advanced 4% on Tuesday morning as forecasts showed low wind power production and temperatures dropping to nearly 5C below normal. 04/03/2016 (ICIS) Traded volume on shorter-term products at Germany’s wholesale electricity market was down in February for the second month in a row, according to trade data collected by ICIS. 04/03/2016 (Montel) Nordic power prices edged up on Friday amid expectations of declining hydropower storage from drier-than-normal weather over the next few weeks. 26/02/2016 (Montel) European coal prices recovered slightly this week amid concerns about a possible strike at Colombian miner Cerrejon and relatively stable producer currencies and oil prices. 23/02/2016 (Montel) Det kraftige fallet i elsertmarkedet tirsdag morgen tyder på at vindkraftutbyggingen på Fosen ikke er en del av den mest kostnadsoptimale løsningen for å nå det svensk-norske elsertmålet på 28,4 TWh, ifølge Nena. 23/02/2016 (Montel) European coal prices could rise this week due to the threat of a miners’ strike in Colombia and some lingering demand from the power sector, players said on Monday. 19/02/2016 (Montel) European coal prices began to show signs of consolidation this week, with firmer crude oil prices credited with the rally as there is little sign yet of an uptick in regional demand. 18/02/2016 (Montel) German weekend power prices fell for the fourth consecutive session on Thursday morning as forecasts showed wind generation reaching near a record high. 18/02/2016 (Montel) Wind power may overtake lignite generation to become Germany’s single-biggest source of electricity this winter, potentially forcing utilities to adapt their traditional maintenance timetables, market participants told Montel. 12/02/2016 (Montel) European coal prices slumped to fresh record lows this week amid a lack of buying interest and few signs of fundamental support. 11/02/2016 (Montel) Prices on the front end of the Nordic power curve rose early on Thursday as forecasts showed colder and drier weather conditions over the next 10 days. 11/02/2016 (Montel) European carbon fell for a seventh successive day on Thursday as energy prices came under renewed pressure. 09/02/2016 (Montel) European coal prices could find support this week from increased demand from the power sector, potentially pushing API 2 contracts further above recent record lows, analysts and traders said on Monday. 05/02/2016 (Montel) European coal prices continued to firm this week amid stronger oil and a weaker dollar after reaching a record low in January, even though demand in the region remains lacklustre, sources said on Thursday. 28/01/2016 (Montel) The front-week contract has soared almost 20%, over EUR 3, on Thursday amid weather forecasts confirming a return to colder conditions, while a strengthening fuels complex is supporting the long end of the curve. 26/01/2016 (Montel) European coal prices are likely to remain closely tied to other energy commodities this week, with bearish oil, specifically, potentially pulling API 2 contracts to fresh lows, analysts and traders said on Monday. 18/01/2016 (Montel) The Baltic Dry Index (BDI) – which tracks global dry freight rates – has broken below 400 points, extending all-time lows, as vessel oversupply and weak seaborne commodity demand weighs heavily on the market, participants said on Friday. 15/01/2016 (Montel) European coal prices are set to hit fresh market lows over the coming days and weeks as declining oil prices and weak producer currencies allow companies to keep supplying to an already oversupplied market. 14/01/2016 (Montel) Swedish utility Vattenfall’s warnings that poor profitability may force it to close more nuclear reactors should be taken seriously, analysts told Montel on Wednesday. 13/01/2016 (Montel) Prisen på elsertifikater trenger ikke å øke med mer enn 18 svenske kroner fra dagens nivå i spotmarkedet for at det svensknorske målet på 28,4 TWh innen 2020 skal nås, ifølge Nena. 11/01/2016 (Montel) A slump in global coal prices will see Colombian coal production stall in 2016, at below 90m tonnes, as companies cut investment in new capacity, the Colombian Mining Association said late on Thursday. 07/01/2016 (NrK) Straumprisane vil truleg vere låge i minst ti år til, trur straumanalytikar. 17/12/2015 (Montel) The European coal market remained under pressure over the past week, with abundant supply and unseasonably sluggish demand likely to weigh further on prices over the coming weeks, participants said on Thursday. 16/12/2015 (Montel) First-quarter prices edged lower amid milder and wetter weather forecasts on Wednesday morning, indicating spot prices will be “very low” at the start of the year. 04/12/2015 (Montel) European coal prices will likely fall to fresh lows around USD 45/t in the short term as Colombian exports pick up after last week’s court decision to lift the Fenoco train ban, players told Montel on Thursday. 03/12/2015 (Montel) German power prices for next week rose 4% on Thursday morning amid a downward revision in wind power forecasts and buoyant power prices in France. 01/12/2015 (Montel) Nordic spot power prices are set to average around 15-year lows in December amid wet, mild and windy weather, although contracts will likely stay above current forward prices, which have been oversold, said market participants. 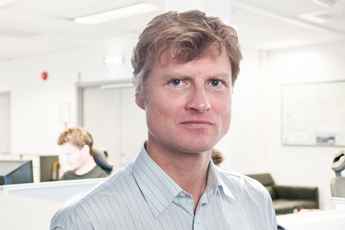 27/11/2015 (Montel) Nye langtidsvarsler som viser mildt og vått vær i nesten hele desember bærer bud om lave spotpriser, noe som tynget kraftmarkedet fredag. 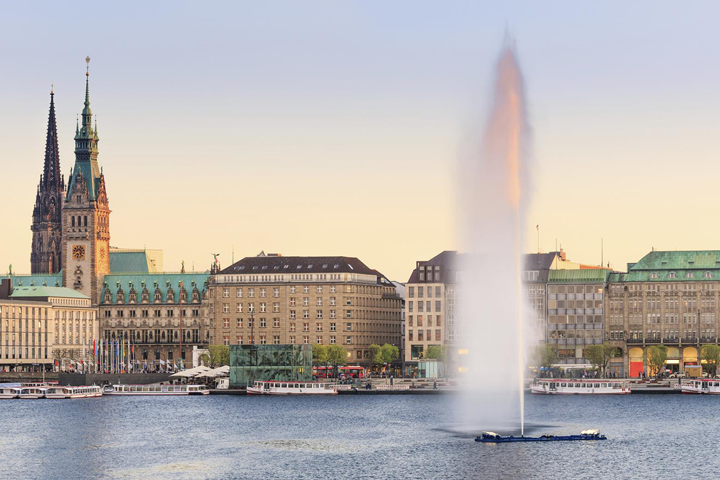 18/11/2015 (Montel) Internal German grid bottlenecks will limit the potential for higher Nordic power prices in the next eight years, Oslo-based analyst Nena said on Wednesday, expecting an average cost of EUR 23-27/MWh in the period. 13/11/2015 (Montel) European coal prices for delivery next year fell to record lows on Thursday as the global seaborne market remained awash with bearish drivers, said players. 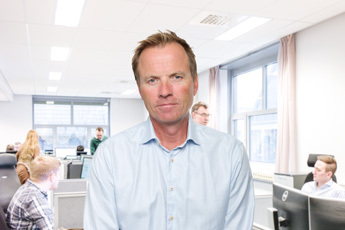 12/11/2015 (SYSLA) Analytiker Hans Gunnar Nåsvik forventer en realprisnedgang for kull i årene som kommer. 05/11/2015 (Montel) Den jättelika vindkraftsparken Markbygden (4.000 MW) kan med sin storlek bli en joker i det norsk-svenska elcertifikatsystemet, men osäkerheten kring projektet är stor, säger två analytiker till Montel. 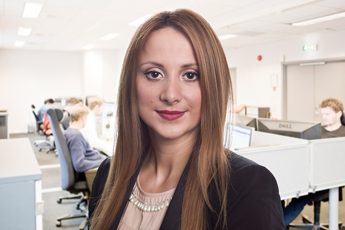 27/10/2015 (Nena) Nena presents an updated scenario analysis for long term Nordic power and bordering markets Germany, France, UK, The Netherlands, Poland, Russia, Estonia, Lithuania and Latvia. 27/10/2015 (Nena) Nena presents detailed overview of all investments up to 28.4 TWh from 2012 to 2021. 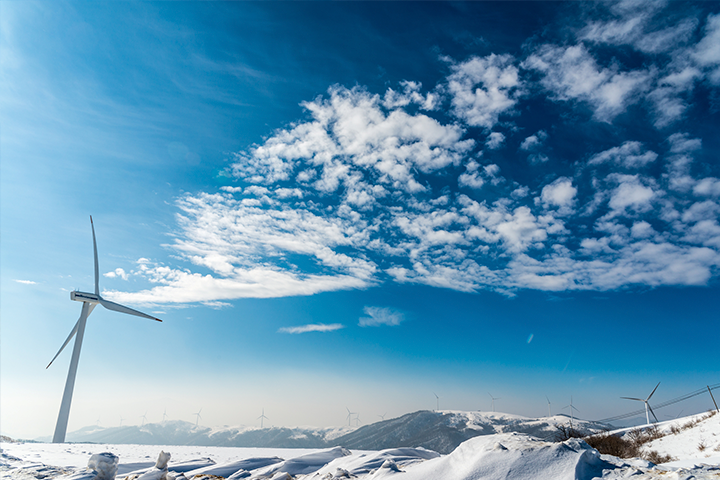 Expectations to actual hydro, bio, and onshore wind power projects to take investment decision, overview of more than 200 large wind power projects. 22/10/2015 (Montel) Physical European coal prices eased to new lows this week as logistics problems in mainland Europe deterred utilities from purchasing spot supplies ahead of winter, although prices are approaching a floor, participants said on Thursday. 19/10/2015 (Montel) European front-year coal prices are likely to remain below USD 50/t over the short term after the end of recent supply problems in South Africa, market participants said on Thursday. 09/10/2015 (Montel) German power week-ahead prices rose more than 4% on Friday, buoyed by forecasts showing cold temperatures and low wind production. 01/10/2015 (Montel) European coal prices are likely to fall as much as USD 4-5 to new record lows in October, as high stocks, abundant supply and weak demand continue to weigh on sentiment, market participants said. 28/09/2015 (Montel) Both the Q4 and 2016 contracts have hit fresh record lows on Monday amid wet forecasts, a low spot price and sliding coal and carbon markets. 23/09/2015 (VG) Kraftmagasinene er breddfulle, regnet har bøttet ned og lave strømpriser gjør at vi kan se vinteren lyst i møte. 21/09/2015 (Montel) I början av året varnade marknadsaktörer för att en kraftig ökning av solenergiutbyggnaden i Sverige kan leda till en kollaps för priserna i elcertifikatmarknaden efter år 2020. 11/09/2015 (Montel) Nordic power prices fell early on Friday amid a combination of wet weather forecasts and profit-taking before the weekend, market participants said. 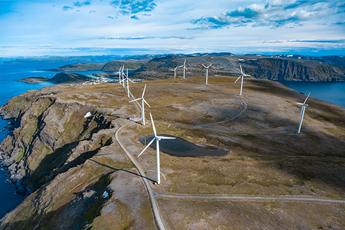 07/09/2015 (Bloomberg) Investors are pulling back from wind farms in Nordic nations as the lowest electricity prices in 12 years cut the profitability of new projects. 28/08/2015 (Montel) The German benchmark Cal 16 power contract rose to a one-week high on Friday morning, as rising coal prices boosted the marginal costs for power production. 27/08/2015 (Bloomberg) Coal may drop below $50 a metric ton this year as a supply glut combines with a slide in emerging market currencies that supports exports. 27/08/2015 (Montel) European coal prices touched new lows over the past week, although they found some tenuous support as key consumer China took steps to alleviate global concerns about its slowing economy, participants said on Thursday. 26/08/2015 (Montel) Prices for the day ahead, the weekend and next week are falling on Wednesday morning due to an upward revision in forecasts for wind power production, players told Montel. 18/08/2015 (Sunnmørsposten) Jevn snøsmelting gir svært lave strømpriser. 07/08/2015 (Montel) The clean power plan unveiled by US president Barack Obama this week could potentially lead to greater thermal coal exports into Europe, deepening the global oversupply, market players said this week. 07/08/2015 (Montel) European coal prices remained just off four-month lows on Thursday as traders continued to eye healthy terminal stocks and sluggish demand. 05/08/2015 (Montel) European coal prices are likely to remain under pressure in August amid a lack of supportive supply-demand factors, although further losses could be negligible, market participants told Montel. 17/07/2015 (Montel) European coal prices have drifted lower this week as short-term fundamentals encourage selling, despite emerging signs that the oversupply in seaborne material is being eroded, participants said on Thursday. 09/07/2015 (Montel) Day-ahead and weekend prices are rising on Thursday morning as forecasts showed wind power production is set to fall and due to outages at conventional power plants, players told Montel. 03/07/2015 (Montel) German power prices for next week fell 3% on Friday morning as forecasts showed higher wind power production than previously expected and lower temperatures. 01/07/2015 (SNL) The world's seven major coal-exporting countries shipped out 92.3 million tonnes of coal in April, a 13% decline from March levels, with the seaborne markets growing at a slower place despite new demand and supply centers opening in the near future. 22/06/2015 (Montel) European coal prices may rise further this week amid a slight tightness in Asian spot supply, although high stock levels are likely to cap gains, participants said on Monday. 12/06/2015 (Dagens Næringsliv) En stor internasjonal finansiell aktør skal ta sikte på å overta Statkrafts vindkraft­prosjekter i Trøndelag. 12/06/2015 (Montel) Prices for Saturday and Sunday rose by 7% and 2%, respectively, on Friday morning due to a downward revision in renewables forecasts for the weekend and outages at conventional power plants. 12/06/2015 (Montel) Prompt European paper coal prices have risen this week alongside gas and oil contracts, with a rising euro, increased consumption and signs of a pick-up in Asian demand adding support, traders said on Thursday. 04/06/2015 (Montel) Prisen på elsertifikater for neste år er opp mer enn 5 prosent torsdag morgen, etter at Statkraft kunngjorde at de ikke går videre med planene om vindkraftutbygging i Midt-Norge. 03/06/2015 (Bloomberg) Sweden and Norway will probably exceed a joint target for renewable energy production by the end of the decade, industry consultant Nena AS said. 01/06/2015 (Montel) The oversupplied European coal market is likely to remain weak this month, amid waning demand, although prices could approach a floor, with the Cal 16 contract possibly bouncing back into the USD 60s, an analyst said. 28/05/2015 (Montel) Contracts for June and July fell 8% and 5%, respectively, to new record lows in afternoon trading on Thursday after the spot settled more than EUR 1.50 lower than expected. 19/05/2015 (Montel) German day-ahead prices could increase by up to EUR 1.50/MWh as the country will export more power once flow-based market coupling starts on Wednesday, analysts told Montel on Monday. 05/05/2015 (Montel) German power prices for July and the front quarter slipped to new 2015 lows on Tuesday amid flagging spot prices and signs of healthy supply availability, traders said. 04/05/2015 (Montel) European front-year coal prices are likely to hold within a USD 55-60/t range this month, although overall market sentiment will remain weak because of an oversupply and limited demand, analysts and traders said. 30/04/2015 (Montel) Friday prices rose for the third consecutive trading day on Thursday morning, soaring almost 60%, or nearly EUR 9, as forecasts confirmed power production from solar and wind plants in the country will be very low. 29/04/2015 (Nena) Nena presents detailed overview of all investments up to 28.4 TWh from 2012 to 2021. Expectations to actual hydro, bio, and onshore wind power projects to take investment decision, overview of more than 200 large wind power projects. 23/04/2015 (Montel) German power weekend prices jumped 8% on Thursday morning amid expectations of low lignite availability due to a planned strike at RWE and a drop in renewables generation. 22/04/2015 (Montel) Contracts for May, the third quarter and front year fell to new record lows on Wednesday afternoon amid the system price settling almost EUR 1 lower than expected and due to forecasts of wet weather. 22/04/2015 (Montel) Coal spot prices in Europe are likely to soften towards USD 50/t this summer, due to ample supply and low production costs in key exporting countries, Oslo-based analyst Nena said on Wednesday. 17/04/2015 (Montel) European front year coal prices are finding support from a weaker dollar and stronger oil prices, though they could resume their bearish trend as the market remains mired in oversupply, said traders on Thursday. 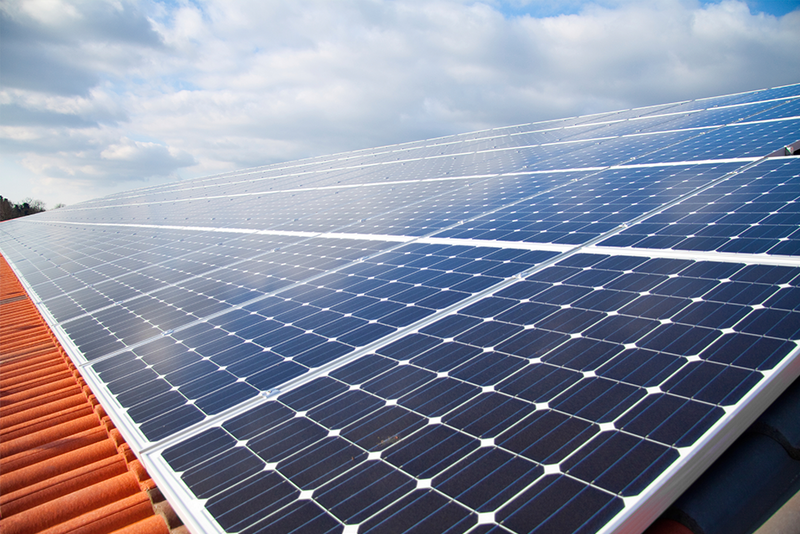 16/04/2015 (Montel) German power prices for Friday and the weekend rose on Thursday morning amid a downward revision in the outlook for wind and solar generation, players told Montel. 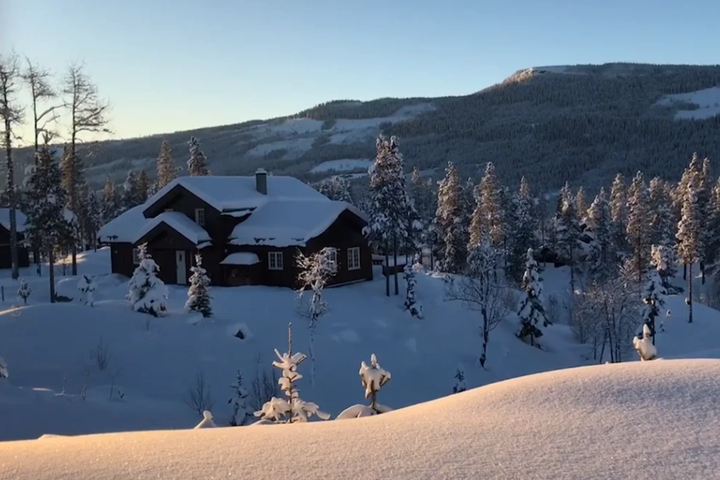 27/03/2015 (Montel) Nordic power prices are rising on Friday as weather forecasts indicate lower temperatures, which could limit snowmelt and trigger a supply squeeze with increasing peak prices. 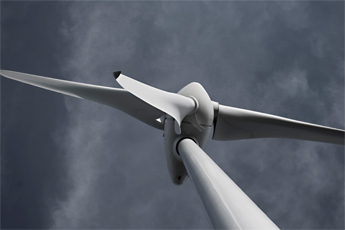 26/03/2015 (Montel) Germany’s day-ahead power price climbed 6% on Thursday after forecasters revised down their wind output expectations. 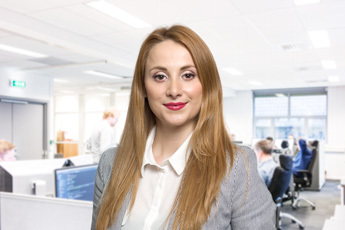 19/03/2015 (Nena) Nena presents an updated scenario analysis for long term Nordic power and bordering markets Germany, France, UK, The Netherlands, Poland, Russia, Estonia, Lithuania and Latvia. 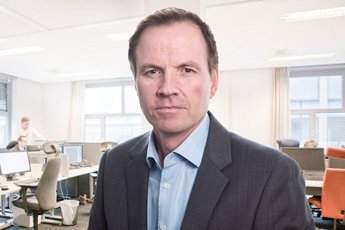 13/03/2015 (Montel) Et økt svensk mål i elsertmarkedet på 2 TWh vil ikke bety mye for elsertifikatprisen ifølge Joachim Jernæs i Nena. Han er fremdeles bekymret for overinvesteringer. 05/03/2015 (Montel) UK gas prices are falling on Thursday morning on mild weather forecasts, a long system and on news the Ukraine-Russia crisis is easing. 02/03/2015 (Montel) Despite expectations of further production cuts this year, market participants expect prices in March to remain under pressure, as oversupply and high inventory levels persist. 18/02/2015 (Montel) Det er altfor mange prosjekter planlagt i elsertmarkedet, noe som øker sannsynligheten for at man skyter over 26,4 TWh-målet og får en priskollaps, mener analytiker Joachim Jernæs i Nena. 13/02/2015 (Bloomberg) Germany imported the most coal from Russia in at least nine years, just as the European Union is trying to reduce its reliance on energy supplies from the former Soviet state. 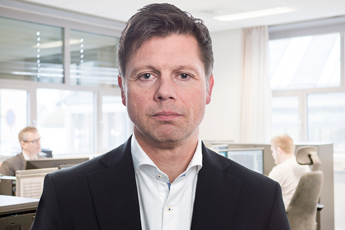 10/02/2015 (Montel) A two-year delay in the 1,400 MW Nordlink cable from Norway to Germany will feed a growing power surplus in the Nordic region and put further pressure on wholesale prices, analysts and market sources told Montel on Tuesday. 03/02/2015 (Montel) The Baltic Dry Index (BDI) – which tracks global dry freight rates – has dropped to its lowest level in nearly 29 years, as a surplus of vessels continues to weigh heavily on the market, participants said on Tuesday.